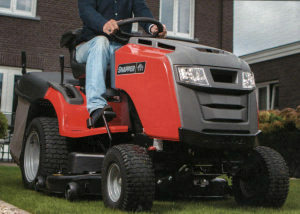 The Snapper RXT300 is a robust, powerful, top of the range garden tractor designed with the user in mind. 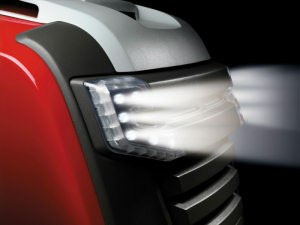 It is the highest powered petrol ride on lawnmower we are aware of on the Irish market today! 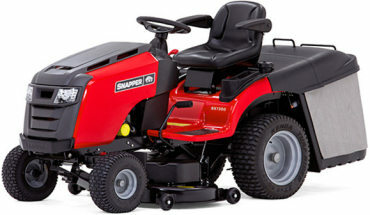 The Snapper RXT300 ride on lawnmower for sale in Ireland is powered by a massive 27hp Briggs and Stratton 724cc V-Twin engine providing ample smooth power no matter what the conditions your garden throws at it. 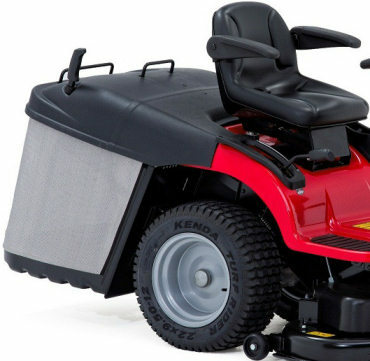 The Snapper ride on mower comes with a big 42 inch wide steel cutting deck which has twin cutting blades and a direct feed collection chute for less clogging. If collecting the grass is not your intention the Snapper can be fitted with a mulching plug which is supplied with the mower. This can help make unsightly piles of grass a thing of the past! 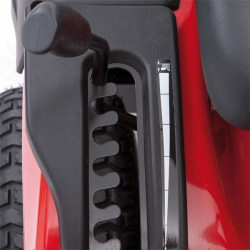 The Snapper RXT300 also comes with a tow hitch as standard, turning this ride on lawnmower into a year round machine with the use of the many attachments you can buy.